Interested in immigrating to Hong Kong under Hong Kong QMAS program? Would you like to know complete details about Hong Kong immigration process? Well, here you can find the requirements and procedure of Hong Kong Quality Migrant Admission Scheme. Hong Kong QMAS is a quota-based entrant scheme that is designed to lure highly qualified skilled persons to the country. With the intention to attract fresh talents to the country, the government has designed this special scheme wherein applicants are required to qualify in points based system. 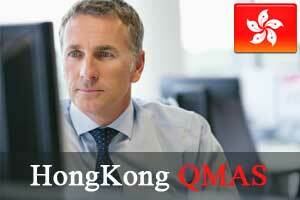 A valid job offer is not required for the successful applicants of Hong Kong QMAS. Hong Kong QMAS applicants can bring their family members and minor dependent children to the country provided satisfying the condition that they hold enough funds to meet their expenses upon immigration to Hong Kong. You need to hold sufficient funds to meet the expenses of yours and your family members during your stay in the country. After you fulfil all the above criteria, you need to take up any of the two tests either general points test or achievement based points test, which completely depends on your profile. In general points based test, applicants of Hong Kong immigration needs to score minimum 80 points under specific areas such as age, academic qualifications, work experience, language proficiency and family background. Individuals with exceptional skills and achievements can undertake achievement based points test. In this test, the assessment will be done based on their achievements and they need to score 165 points under one point scoring factor only. So, find out the right category and apply for Hong Kong QMAS.